Treat yourself to a luxury business card using our superior selection of prestigious, high-quality materials including Conqueror 400gsm, our finest Matt 400gsm and Immortal plastic 450gsm. 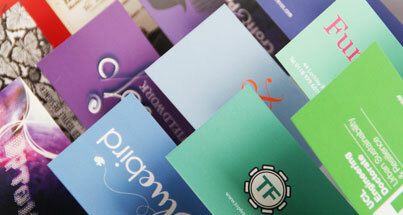 There are a wealth of stocks available to help you add a luxurious, upmarket look and feel to your business cards. Try adding matt or gloss lamination to exude a sense of indulgence to those fortunate enough to receive your card. Upload your business card design then pick your print & material options. Pick one of our online templates or let us create your design from scratch. We have hundreds of industry related online templates to choose from. Send your written instructions, and we will create your design for FREE. Matt 400gsm, Plastic 450gsm, Conqueror 400gsm. More info. 85mm x 55mm, 90mm x 55mm or 90mm x 50mm. Cards are generally delivered in 5 to 7 working days. More info. No artwork? Let our designers create it for you. Luxury prices exclude VAT at 20.0% (where applicable). Prices are in British Pounds (GBP). Click here for International Delivery costs. Worked with me to a tight deadline and delivered the goods satisfactory and would use them again. I've placed a number of orders with Cardsmadeeasy over the past 18 months and with out fail their service has been fantastic. Very impressed with their Customer communications too. Business cards without compromise. Choose from our luxury range. Helpful phrases are a rarity, but we truly believe that first impressions last. If you're the Managing, Sales or even Marketing Director of a small to medium sized company you need to show you mean business. Handing a potential customer beautifully crafted business cards produced on a heavier, high-quality material will tick that box. 400gsm fine matt from £ 13.74. A sublime addition to our luxury card options, Splendorgel 400gsm matt is an extremely smooth crisp white material which features amongst our best sellers. The pulp used to produce this stock is elemental chlorine free (ECF) and FSC certified. 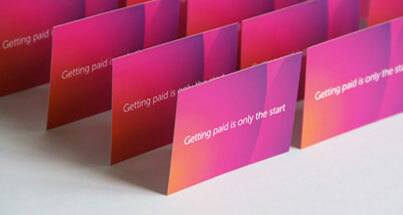 Give your cards a professional sheen with our laminated gloss finish on 400gsm material. An incredibly smooth and elegant glossy shine finish will mean you'll be looking forward to that moment when you have to hand over your card to that prospect. Conqueror papers have always been closely associated with exceptional quality in stationery printing. This material ensures your business card promotes a perception of refinement and the wove finish is a popular choice amongst more traditional businesses. 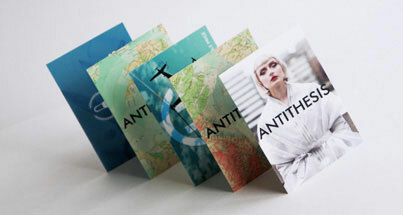 Plastic 450gsm business cards - Weather and tear resistant! Our new distinctive plastic business card material is waterproof and impossible to tear. We put this plastic stock to the test and found that the synthetic paper is practically indestructible, that's why we called it Immortal! For that additional "panache" add raised lettering which is similar to embossed lettering to your luxury cards. Change the look and the feel of your cards for a truly elegant, professional and prestigious representation of your company and raise the game on your competitors. Using special techniques we raise the text on your card for an embossed look making all the difference to the finish on your cards. Select the option from within the shopping basket, starting from just £52.49 for 50.